Natural Pawz is raising $7,500 to provide pet oxygen masks to first responders throughout the Houston, Texas area. Funds raised will go directly to purchasing the masks. Due to overwhelming response from great customers and vendors, Houston’s hometown family-owned pet supply store Natural Pawz has surpassed their fundraising goals. On June 1st, Natural Pawz announced their 4th annual “Pawz for a Cauze” fundraiser. The program had hoped to raise at least $7,500 to purchase 100 pet oxygen masks. In just one short month, the fundraising goal has been met with the help of generous donors in-stores and online. The program was so well received by Houstonians that it exceeded the original target and raised enough money to fund the purchase of 200 pet oxygen masks to be distributed to various fire stations throughout Houston. Pet oxygen masks can be used on pets that have suffered from smoke inhalation during a house fire, or losing consciousness after exposure to toxic fumes. The fundraiser ran for one month, and was extended as additional donations kept coming in. Each year, Natural Pawz promotes their annual “Pawz for a Cauze” fundraiser to help raise much-needed funds for non-profit organizations. In the past 4 years, Natural Pawz has raised funds and donated pet supplies to Paws Houston, Houston Humane Society, BARC Animal Shelter, and aniMeals on Wheels. 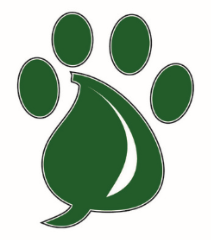 “Pawz for a Cauze is something we really take to heart, and will continue to do year after year, or when a need arises,” said Biff Picone, co-owner of Natural Pawz. Thank you to everyone and their continued support! An oxygen mask can save your pet's life in an emergency. The sad reality is that only a few of the several hundred fire stations in the Houston area have the equipment. Many pets are pulled from fires daily, and are unable to survive after inhaling toxic fumes or suffering from smoke inhalation. These masks can be used on dogs, cats, ferrets, rabbits, guinea pigs, birds and more. We hope you will join us in raising the funds needed to purchase masks , that could one day save your pet. Our goal is to equip at least 100 stations with these masks. Funds raised will go directly to purchasing the masks.